CarGurus has 11,795 nationwide Taurus listings starting at $2,000. Since the unveiling of an updated Ford Taurus prototype at the 2015 Shanghai Auto Show, rumors have circulated about upcoming changes to this full-size sedan. At least in the U.S., none of them will come true for another year or more, as the 2017 model is almost identical to the 2016. With its straightforward styling, the Taurus is one of the most traditional full-size sedans on the market. It comes in four trims: the SE, SEL, Limited, and high-powered SHO, which adds some extra sportiness to the unassuming Taurus. Although pricing for the 2017 models hasn’t been announced yet, the entry-level SE trim started at $27,220 in 2016, and we don’t expect any major changes. The Taurus SE trim level comes standard with a 3.5-liter V6 engine good for 288 hp and 254 lb-ft, which can be upgraded to a turbo 2.0-liter 4-cylinder EcoBoost engine for an output of 240 hp and 270 lb-ft. Like every other Taurus, it gets a 6-speed SelectShift automatic transmission. The V6 is EPA rated at 18 mpg city, 27 highway, and 21 combined, while the EcoBoost is rated at 20, 29, and 23. Cloth seats, a Sony audio system with Sync, and front-wheel drive (FWD) are all standard. No major upgrades are available, although it’s possible to add extras like a cap-free fuel-filler door. If you rent a Taurus, you’ll probably end up with one at this trim level. Step up to the Taurus SEL trim and you’ll pay at least $29,650, but you’ll also gain the ability to personalize the car and add options. More paint colors are on the menu, as is all-wheel drive (AWD) for $1,850—as long as you’re willing to stick with the standard V6 and decreased fuel-economy numbers of 17, 24, 19. Upgraded cloth seats, a reverse-sensing system, and dual-zone automatic climate control come standard. For $1,050, you can add Ford’s Sync 3 infotainment system, upgraded audio, push-button start, and adjustable pedals. Other options include leather seating, a moonroof, a spoiler, 20-inch wheels, and a navigation feature add-on to Sync 3. The Taurus Limited trim starts at $34,570 and comes with features like leather upholstery, Sync 3, heated and cooled front seats, and push-button start. Both AWD and the EcoBoost engine are options, but they remain mutually exclusive. Aside from heated rear seats, a heated steering wheel, and an upgraded sound system, most of the options for the Limited trim are focused on active safety. For instance, blind-spot detection, adaptive cruise control, collision warning, lane-keeping assist, and active park assist are all available. Buyers can also opt for rain-sensing wipers, automatic high beams, and auto-dimming mirrors. Finally, the Taurus SHO trim is an entirely different animal. With a starting price of $40,385, it comes with AWD and only one engine: a twin turbocharged 3.5-liter EcoBoost V6 engine that’s capable of 365 hp and 350 lb-ft of torque. With its paddle-shifted automatic transmission, the V6 gets fuel-economy numbers of 16, 24, and 19. 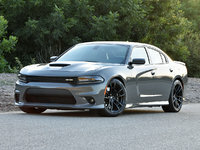 The SHO receives a sport-tuned suspension and a special appearance package, with features like a unique black grille and “SHO” embroidered on the leather seats. All the options from the Limited trim remain available, as well as a $1,300 SHO Performance package with sport-calibrated steering, a “track mode” traction-control setting, a 3.16-to-1 final drive ratio for off-the-line acceleration, and upgraded springs, shocks, stabilizer bars, brake pads, and brake rotors. 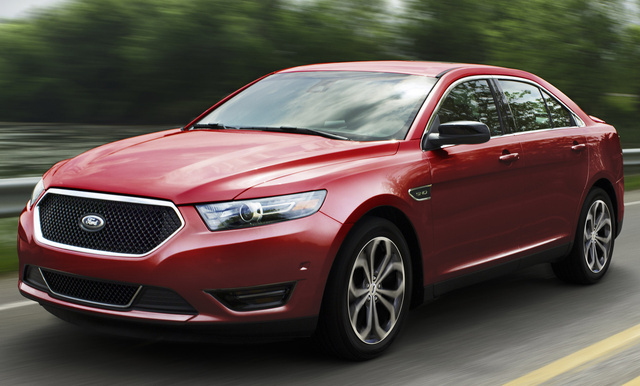 What's your take on the 2017 Ford Taurus? GuruXJFS8 Get a police interceptor that does not have the center console. I actually like the front seat and think it is very comfortable. I like the center console it has storage and 3 usable cup holders. I am 6 foot 4 and 220 big guy and really like it. Have you driven a 2017 Ford Taurus?